Virtue, Diligence, and Brotherly Love are the cardinal principles of Sigma Phi Epsilon and represent the Fraternity’s core values. Pursuit of the Balanced Man Ideal of Sound Mind and Sound Body is the Fraternity’s practice. Sigma Phi Epsilon is uniquely positioned among American college fraternities to build the lives of not only its proud brothers, but also the communities in which they live and work. By helping to build balanced leaders of character and clear values, SigEp will positively impact our world. your son’s development Today, colleges and universities are incorporating the 2,500-year-old philosophy of Sound Mind and Sound Body into the way they teach, the way they work with their students, and the way they look at their campus environments. SigEp is geared to align with and support this mission through partnering initiatives such as the Balanced Man Program and the Sigma Phi Epsilon Residential Learning Communities. Sigma Phi Epsilon’s cardinal principles of Virtue, Diligence, and Brotherly Love have withstood the test of time for over a century on the American college campus. More than 15,000 undergraduate SigEps on campus today believe in these values as a means to become balanced men, setting themselves apart as leaders. Balanced Man Program SigEp’s Balanced Man Program is a no-pledging, no-hazing, continuous member development program centered on the Balanced Man Ideal. The program helps members build positive habits and key life skills through mentoring and experiential learning. Through this structured approach to development, SigEps grow from the day they join the Fraternity until well after they’ve graduated. Through living and learning environments called Residential Learning Communities, (RLCs) SigEp has created a holistic chapter experience that allows SigEp to serve as a valued partner in higher education. RLC chapters have more interaction between undergraduates and faculty members, bringing faculty into their chapter houses to teach classes, host ofďŹ ce hours or facilitate discussions. The RLC program places an emphasis on member development, alumni support, faculty involvement, and academic programming to produce a great fraternity experience. As more chapters move toward the Residential Learning Community model, the Fraternity is especially focused on faculty fellows, who can mentor SigEp members as they pursue their personal, academic, and professional goals. Residential Learning Communities provide college students with a home away from home surrounded by responsible peers and university faculty who are committed to helping them succeed outside the classroom, where much of a studentâ&#x20AC;&#x2122;s growth experience occurs. With a theme of “Learning to Live Your Best Life,” EDGE provides an introductory experience to its new members. The 24hour, high-intensity program helps new members set goals for personal and academic performance throughout their college years and beyond. New SigEps leave EDGE understanding the factors that could hinder their development as balanced men, are reinvigorated in their decision to join SigEp, and empowered to make smart choices about their behavior and involvement in college. Carlson Leadership Academy For over 30 years, these regional academies, held across the nation, are the cornerstone of chapter ofﬁcer and volunteer training. Over 70,000 SigEps and volunteers have beneﬁted from this program. The Carlson Leadership Academy enables SigEp chapters and their members to effectively translate ideas into action. To have virtue is to act with decency, always standing for honesty and integrity. Grand Chapter Conclave For over 100 years, these ďŹ ve-day biennial conventions have been the ultimate SigEp experience. The Grand Chapter, composed of undergraduates, alumni and guests, sets policy for its future and celebrates the essence of the Fraternity. SigEp recognizes its best chapters and alumni with the most prestigious awards. It is a reunion opportunity for brothers worldwide. Ruck Leadership Institute Part of the Leadership Continuum is a celebration of the vision of SigEp pioneer Frank J. Ruck Jr., Michigan â&#x20AC;&#x2122;46. Ruck was president of the North American Interfraternity Conference (NIC) and one of the most creative minds SigEp has ever seen. The Ruck Leadership Institute was established as a dynamic, high-level, leadership development experience. Undergraduates from across the nation gather in Virginia for this intense, ﬁve-day experience. By literally walking the paths of our Founders, the Ruck Scholars see the vision, “this Fraternity will be different,” come to life in an interactive learning environment. This advanced program teaches the few to impact the many—the next generation of SigEp leaders. Tragos Quest to Greece The Tragos Quest to Greece is the ultimate exploration of Sound Mind and Sound Body—an opportunity unmatched in higher education and in other fraternities today. Led by volunteer mentors and university faculty, participants learn about the genesis of the Fraternity’s Mission, Values, and Ideals through a once-in-a-lifetime study abroad program in ancient Greece. These scholars experience the quintessential part of our membership programs by living the Balanced Man Ideal in the place where it all started. To be diligent is to make the most of your time and talents, in an unending pursuit of knowledge. creativity, critical thought, and knowledge. The Sound Mind is sharp and clever, thoughtful and reﬂective. Many chapters have formal dining etiquette training for their members and teach them swing, salsa, and ballroom dancing. Many chapters host philosophy, religion, and political science professors to talk on current events, politics, and how to make an impact in today’s world with the understanding that the pursuit of knowledge is unending. Sound Body is more than just athletics— it’s total wellness, conditioning, and health. The Sound Body is ready and able, robust and nourished. Many chapters have begun to educate their members on how to prepare healthier meals, how to selfscreen for testicular cancer—a leading health threat to young men—and how to properly manage stress, time and personal mental health with techniques such as yoga, CPR and other life-saving practices. Many chapters host dieticians, doctors, coaches and other speakers to discuss relevant health and wellness issues with their members to help them live their best lives. To show brotherly love is to care for others, holding them to a high standard. It is the truest form of friendship. 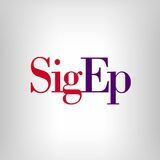 SigEp has the most undergraduates of any national fraternity,* with over 15,000 members spread across 240 chapters. A SigEp is never without a friend or a brother no matter where he travels. SigEps have achieved a fraternity-wide GPA of 3.0 or higher since spring 2006. SigEp offers your son a large and highly talented pool of men who can help them learn and advance in their life and career. With one of the nationâ&#x20AC;&#x2122;s strongest fraternity member development programs and the commitment of our alumni and volunteers, SigEp provides a highly regarded college experience based on the Balanced Man Ideal.